Sizes (thickness of wood/ height of tallest letter) 1/4" is not reccomended for words 7 or more letters long. 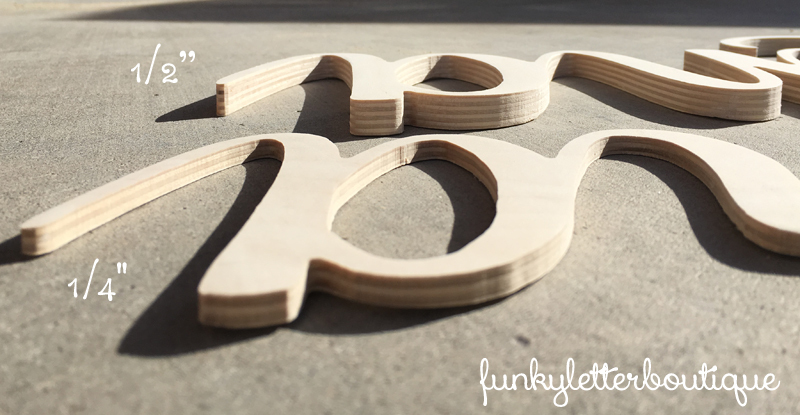 Letters are cut on baltic birch wood and come unfinished ready for your creative juices to take charge and decorate! To order enter the qty of letters needed below. EXAMPLE: if you have a 4 letter name then you will need to enter/purchase a qty of 4 ($ x 4= your price) Enter the number 4 in the qty box below. 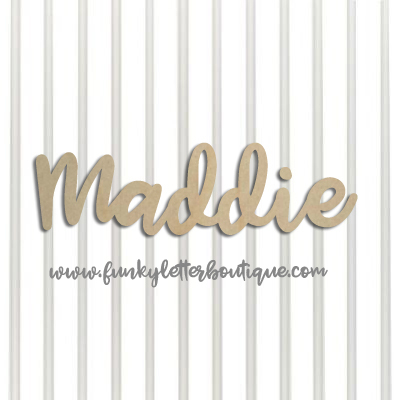 The price is not $5.00 for any length of name that is the per letter price!